The revolutionary 997.2 Turbo IPD “Y” Pipe was built for the more demanding Turbo performance customer. 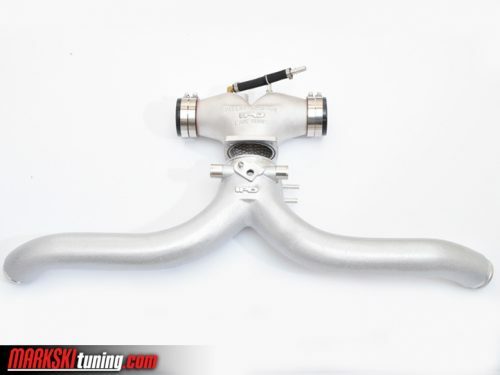 This is not a cast reproduction of the factory Y pipe but a complete re-design from scratch, developed to deliver even greater air flow for both stock AND highly modified Turbos. The factory Y pipe becomes restrictive when adding substantial power gains. 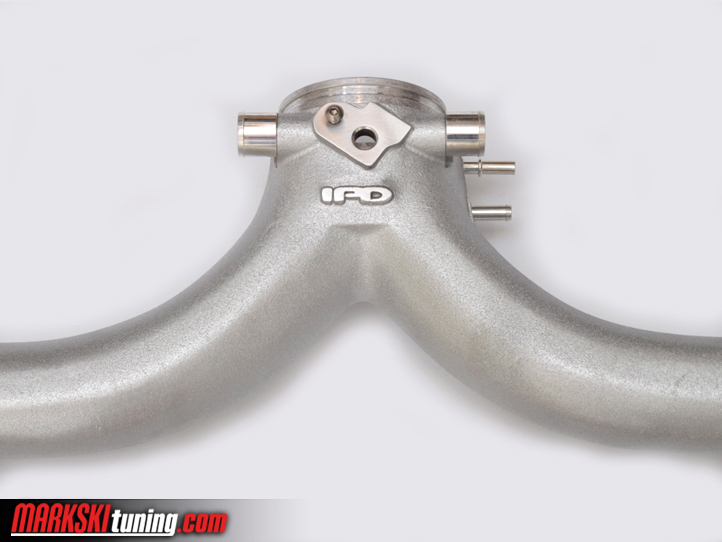 The IPD “Y” Pipe has larger inlets and an optimized diversion area allowing for even greater power gains. This superior and more efficient design flows 126 more cfm than the factory Y pipe delivering the additional power needed to raise the performance bar on any Turbo. 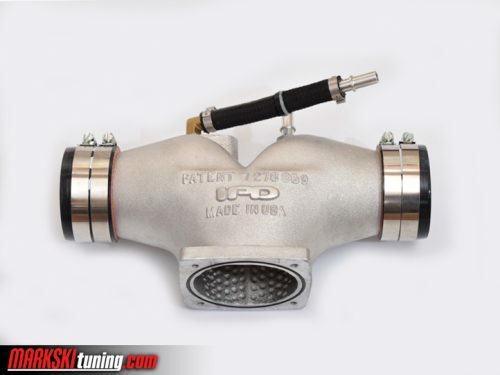 Bigger isn’t always better, and the IPD “Y” Pipe is designed to deliver optimum flow without being too large causing a loss in boost response. 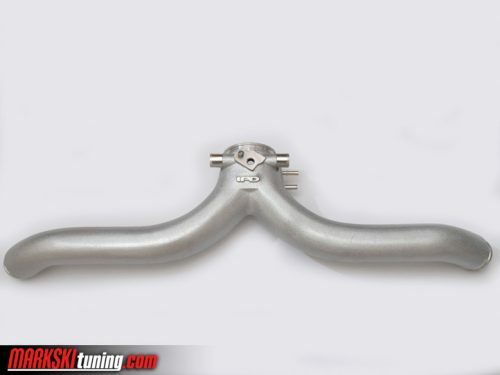 These “Y” Pipes can also be special ordered in custom powder coated colors and ceramic coatings or polished to improve the aesthetic appeal of your Turbo engine. The IPD 997.2 Turbo Y Pipe is designed to be a direct replacement of the factory OEM Y Pipe. 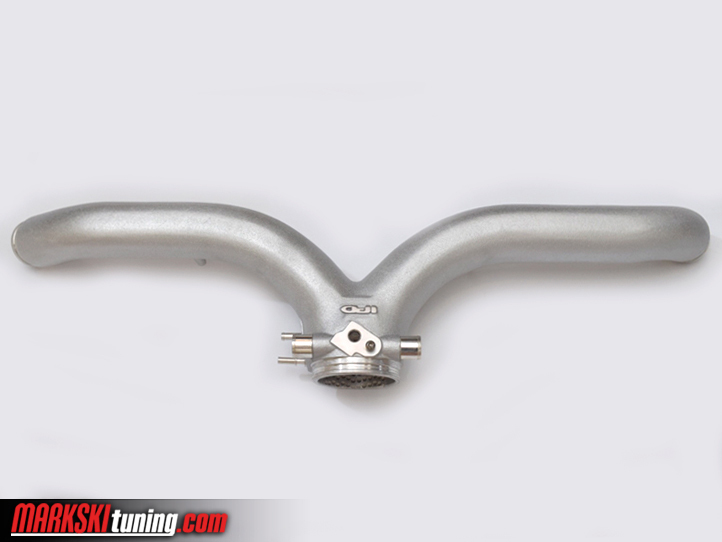 There are no modifications or fabrication required for installing the IPD Y Pipe. This is an easy and straight forward R & R (remove and reinstall) bolt on upgrade.